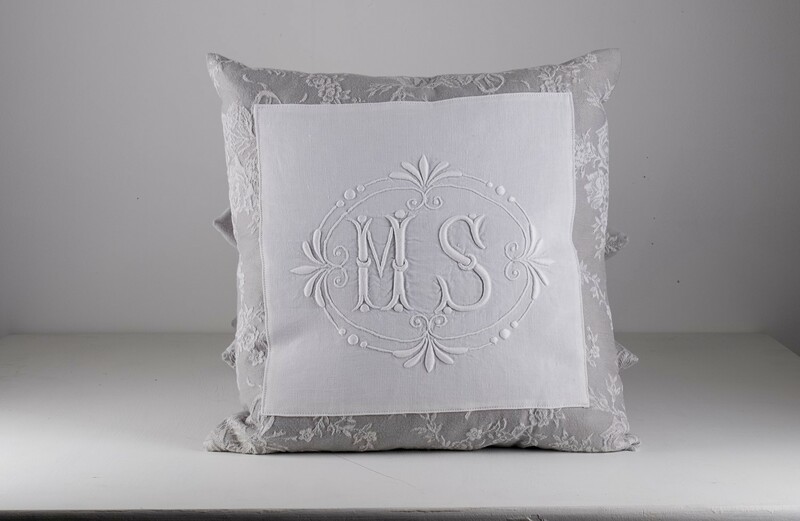 Stunning early 20th century hand stitched monogram from a French sheet, on fine white pure linen. 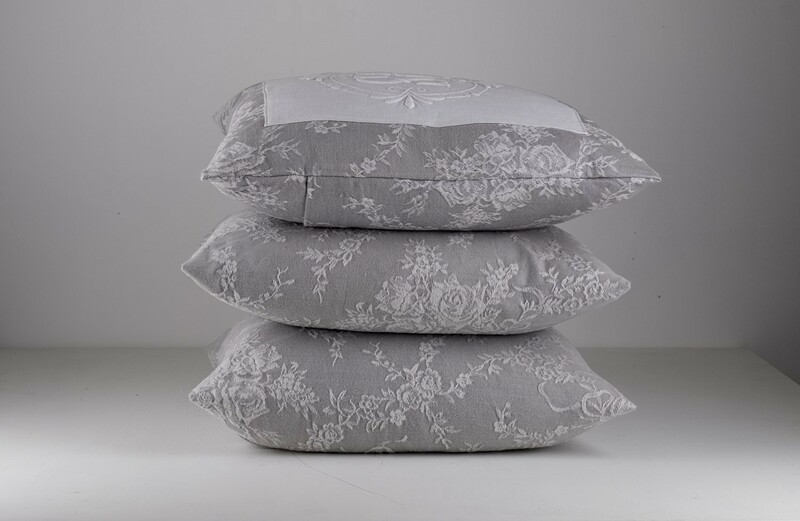 Set onto grey vintage damask ticking with envelope back and new feather pad. UK postage £7. 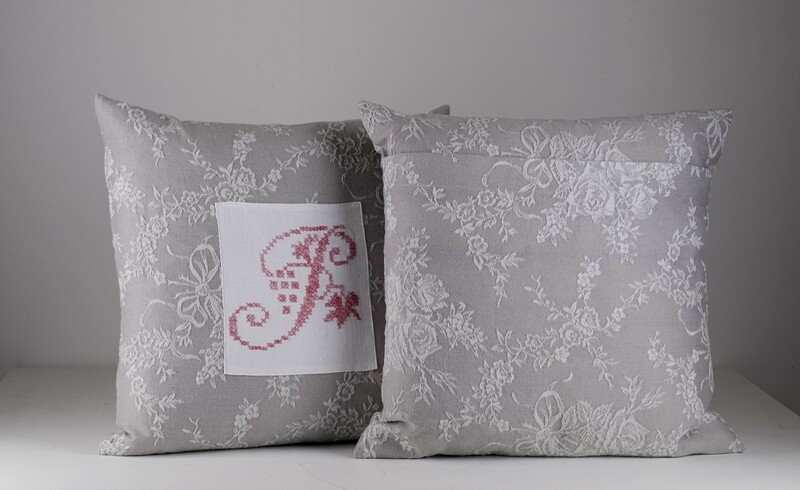 Other monogram letters available - please contact me for current stock.